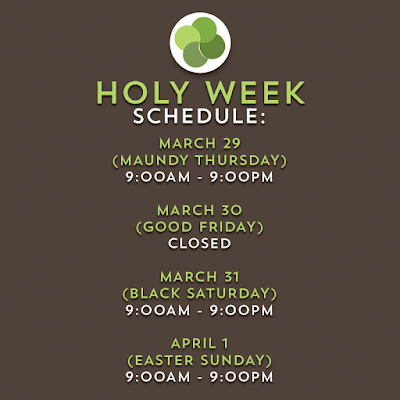 We celebrate the “holy days” of our Catholic faith – the Triduum – on Thursday, Friday and Saturday. 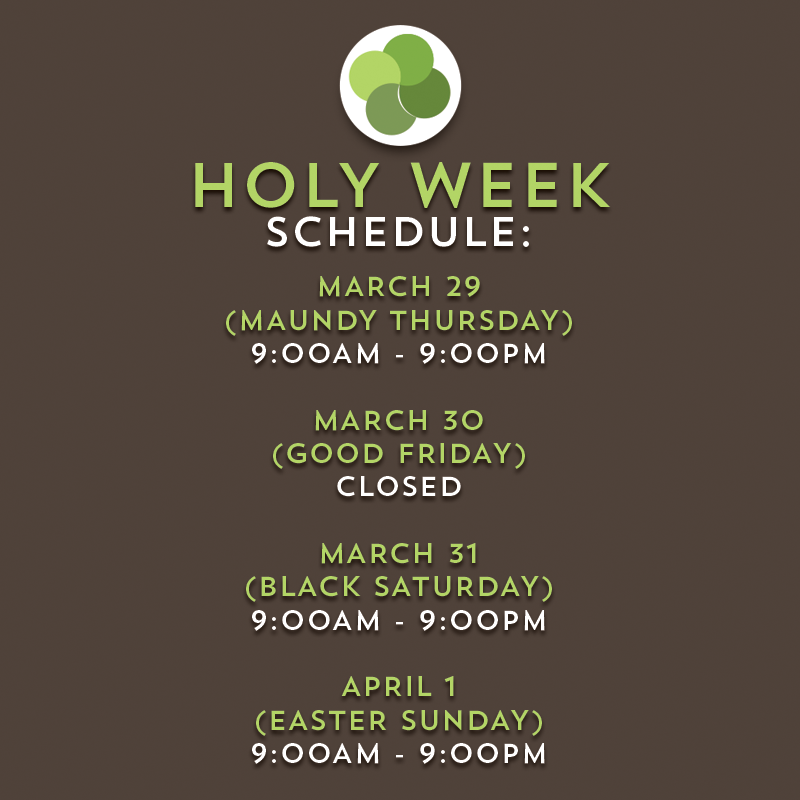 This is the week when everything else stops so that we can focus on the Dying and Rising of Christ. 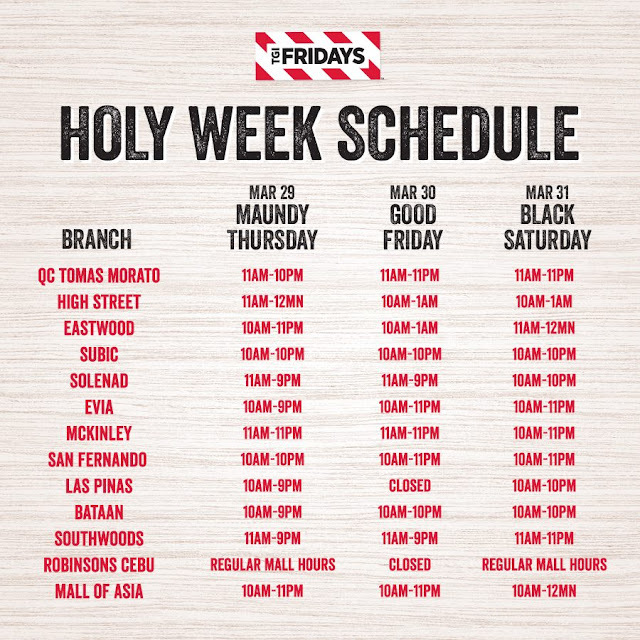 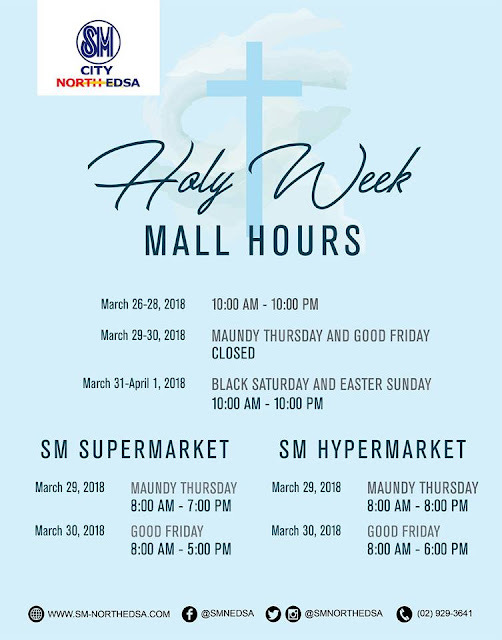 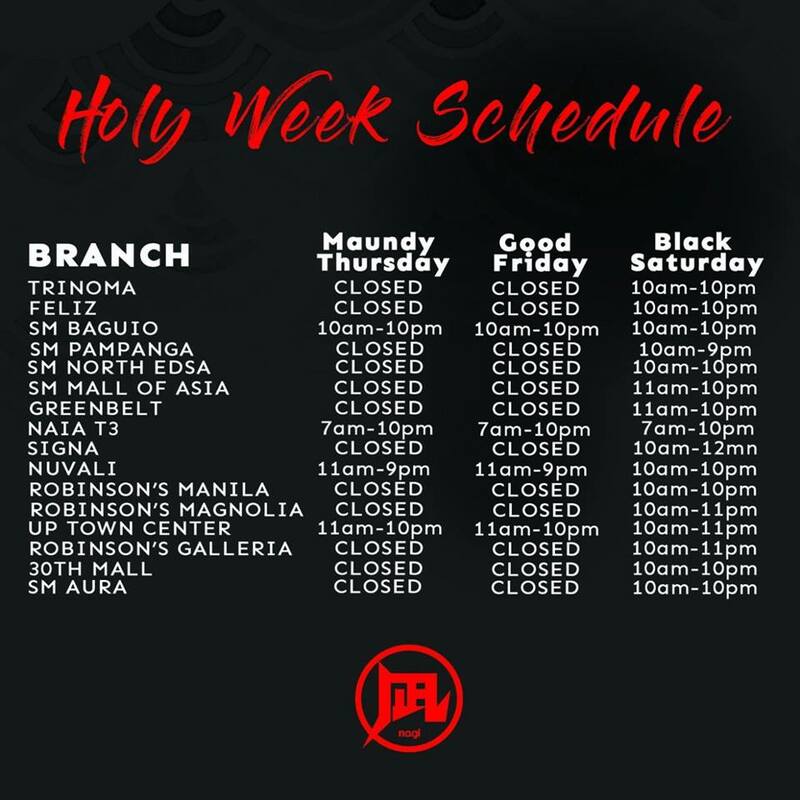 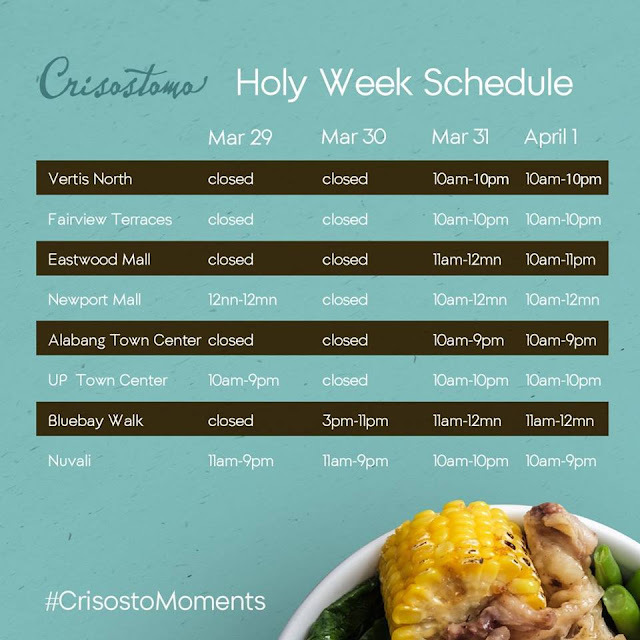 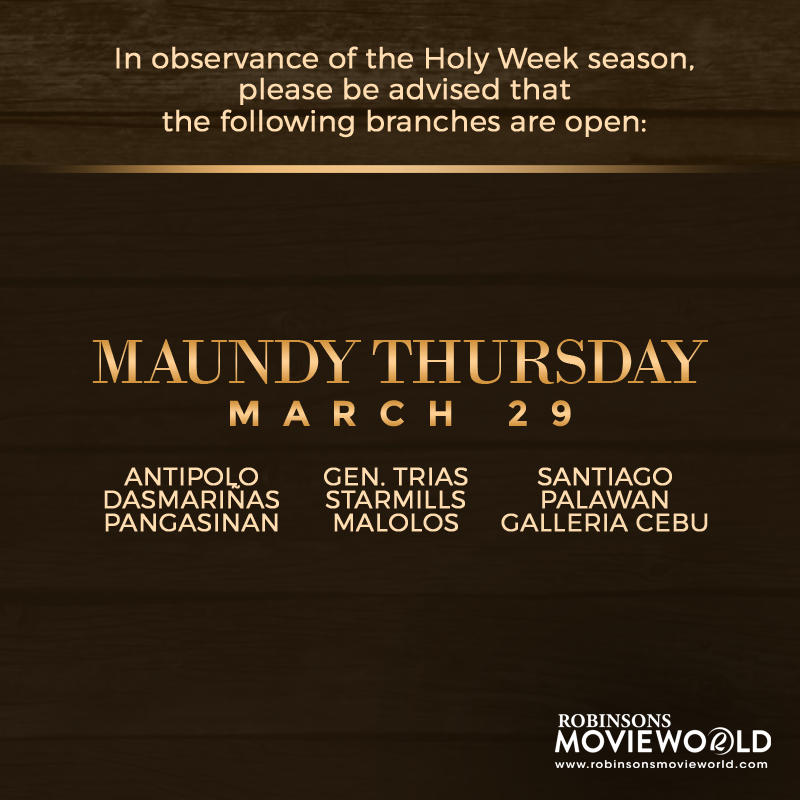 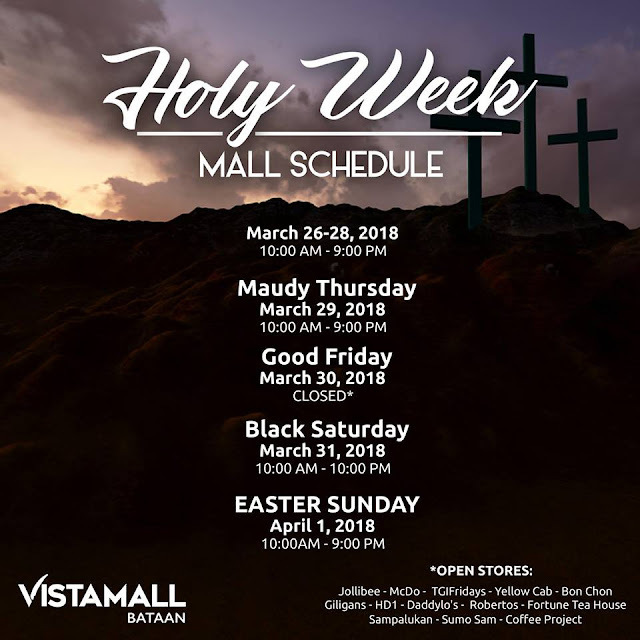 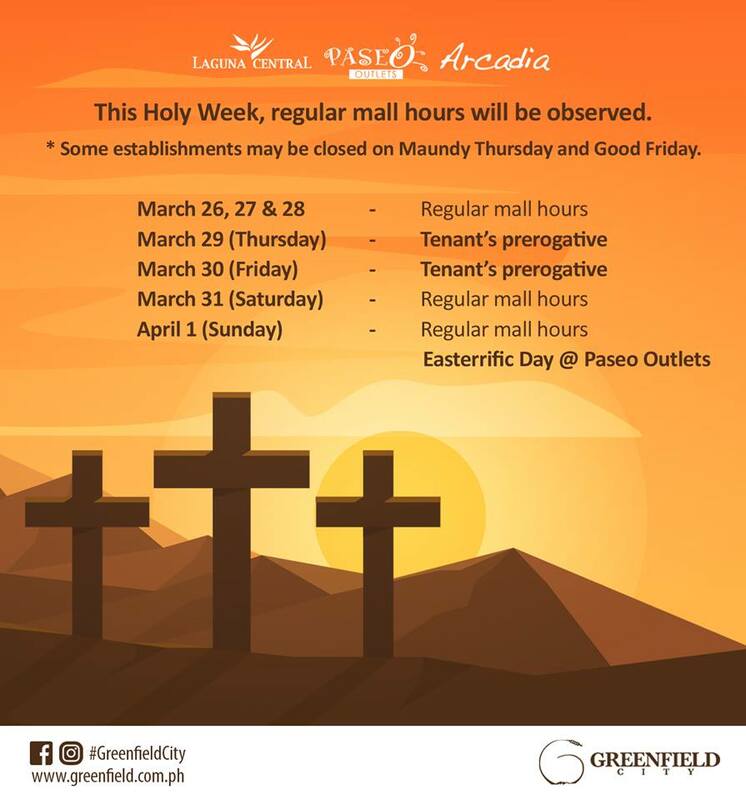 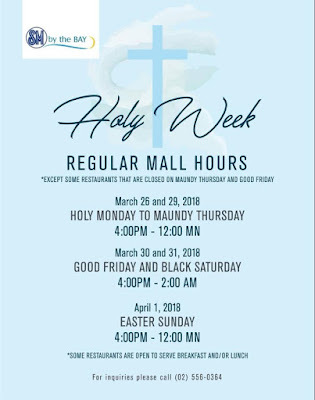 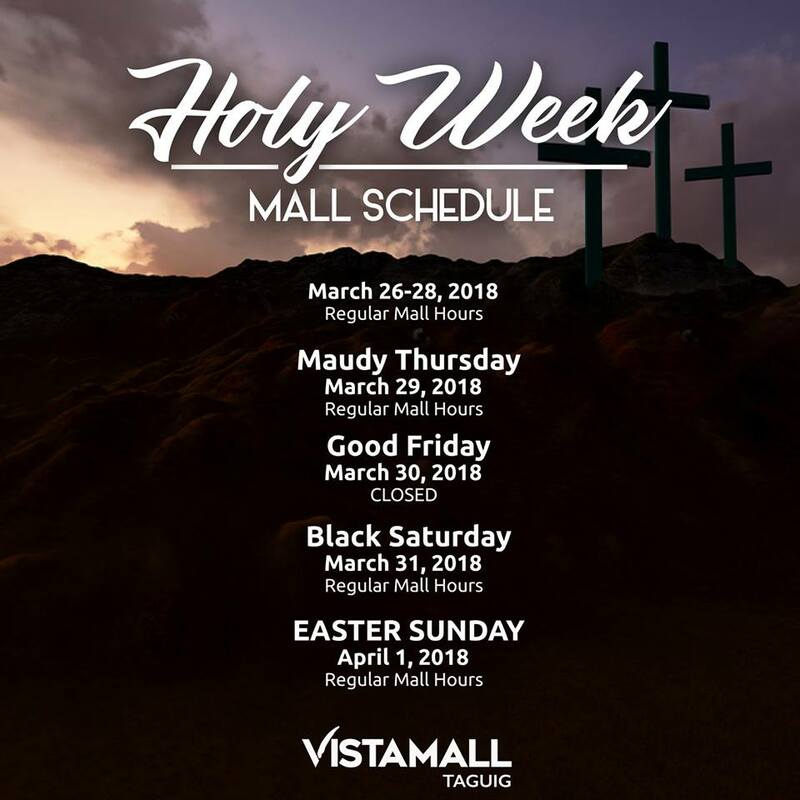 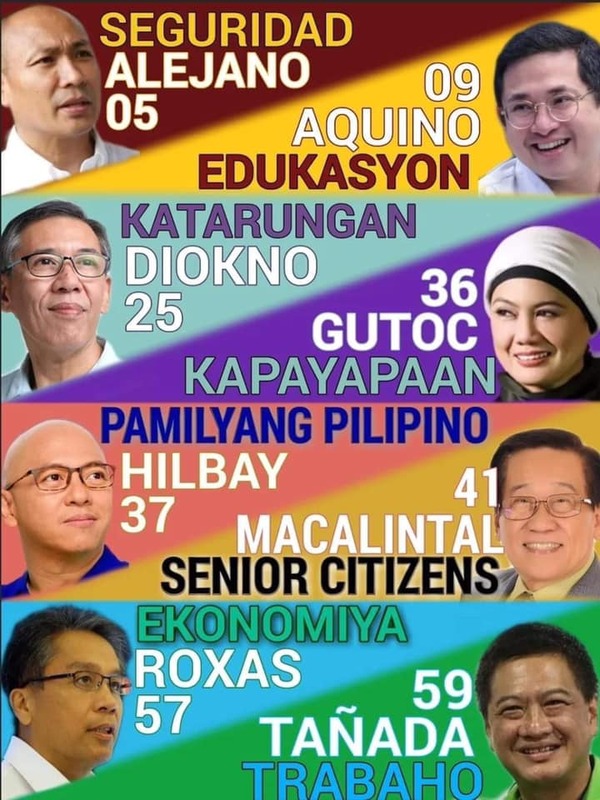 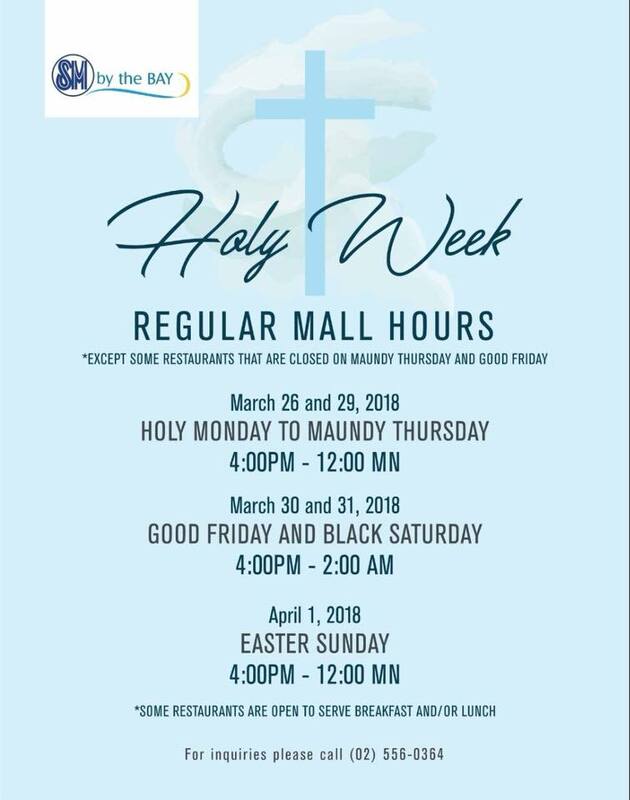 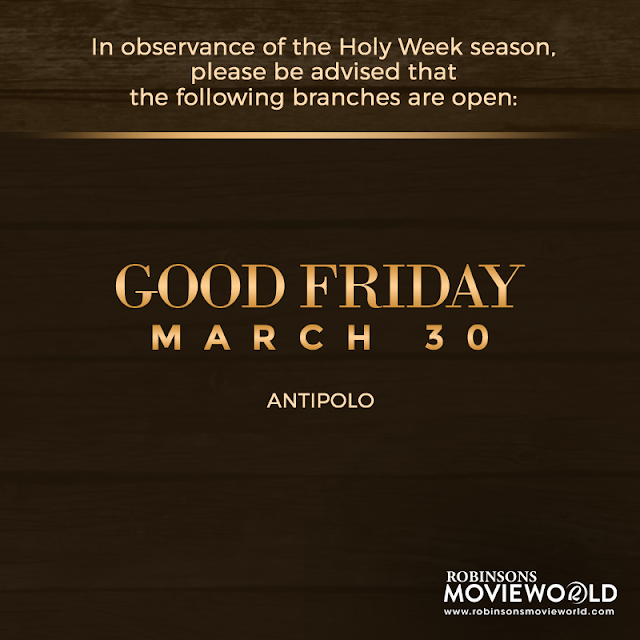 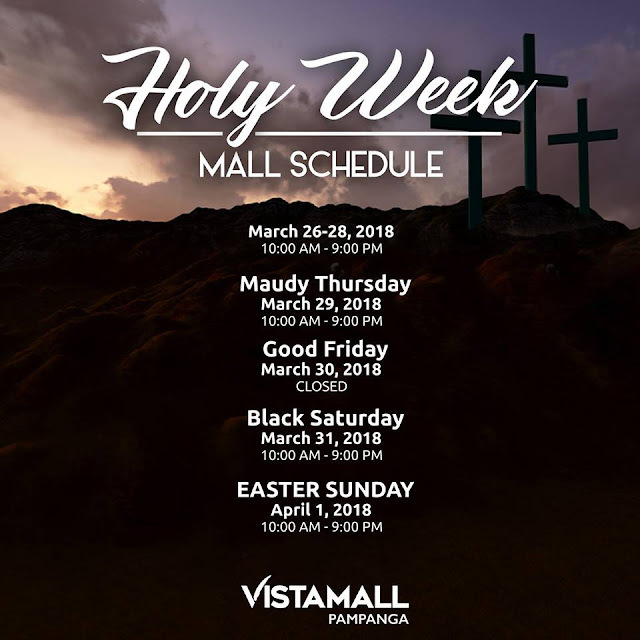 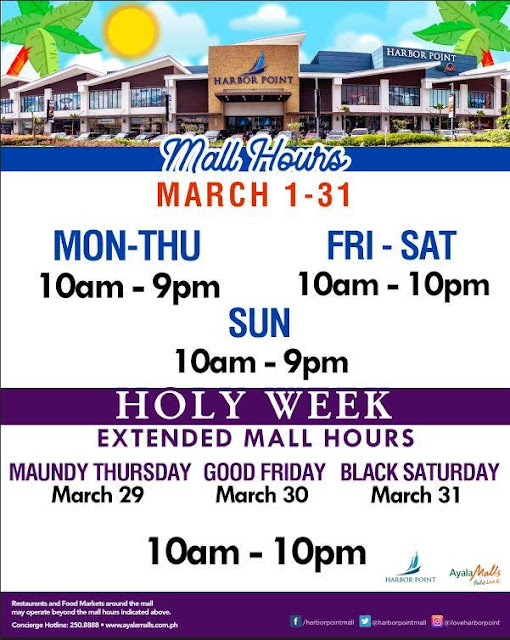 That being said, everybody knows that almost all malls (except the ones posted below) in the metro will be closed on Maundy Thursday and Good Friday. 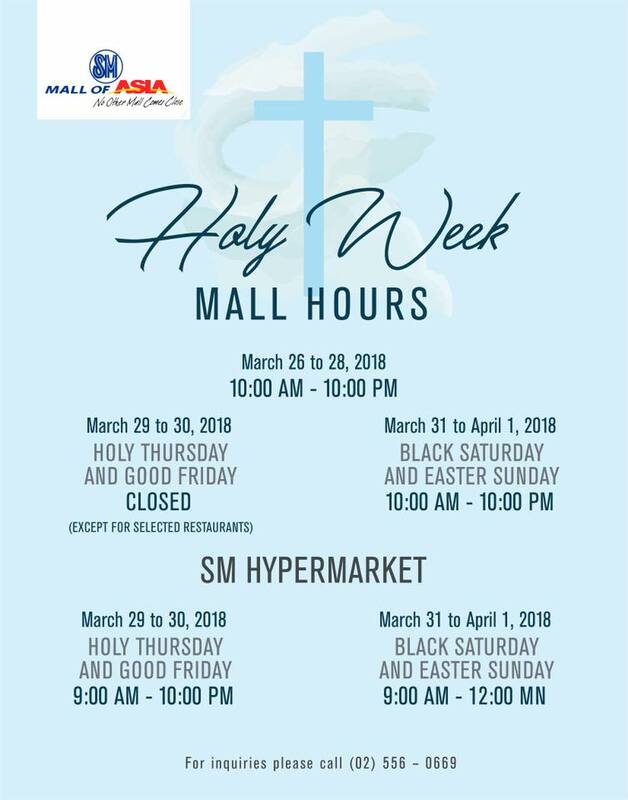 Regular mall hours resume on Black Saturday. 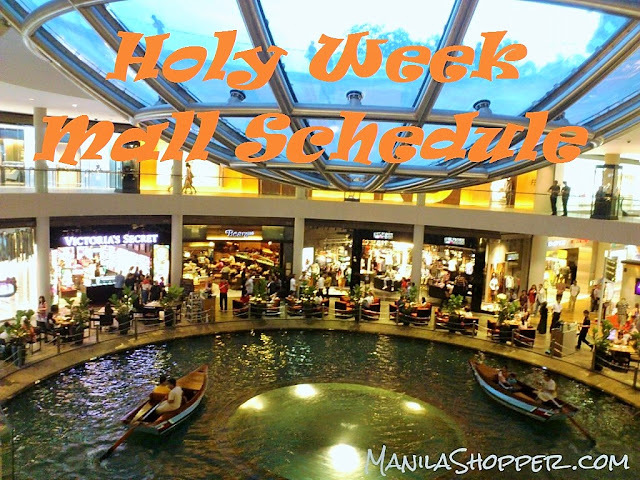 Here are Operating Hours of major malls, supermarkets, theme parks, and some restaurants for your guidance. 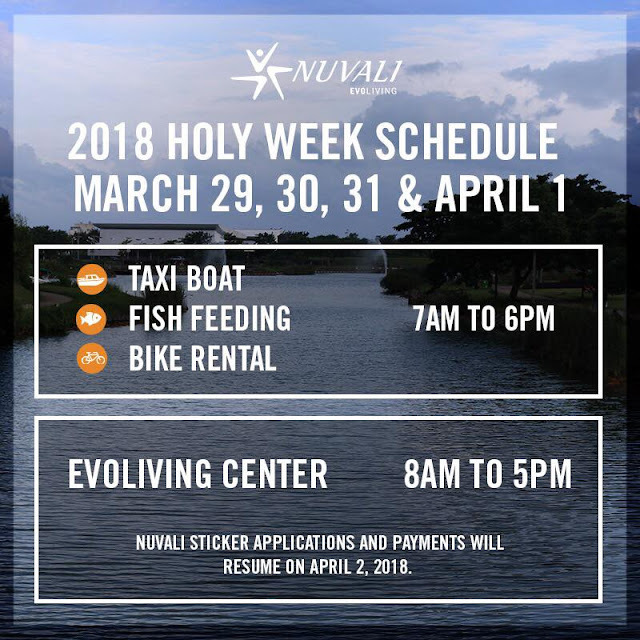 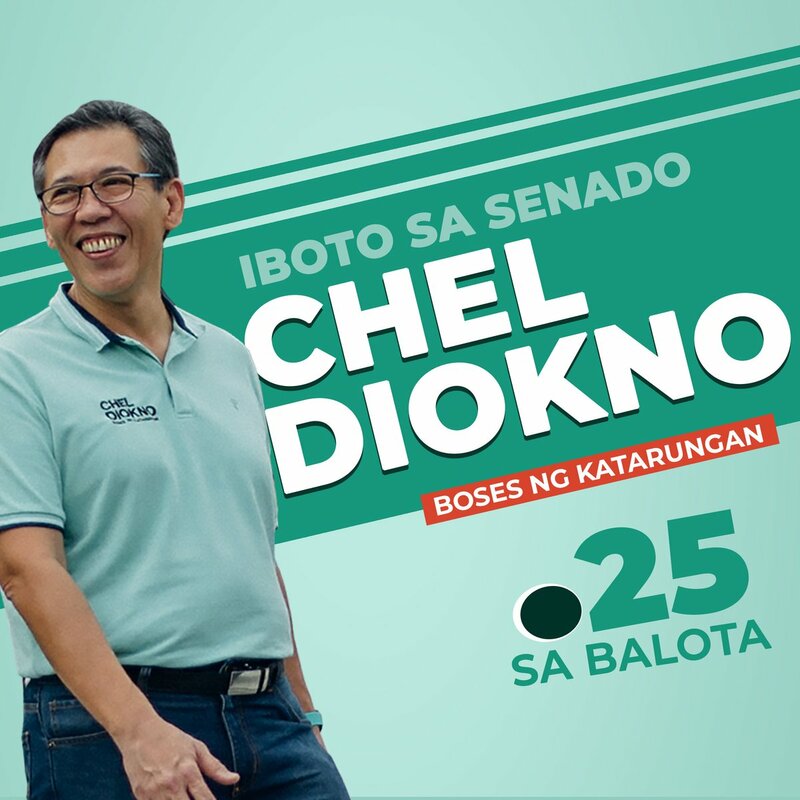 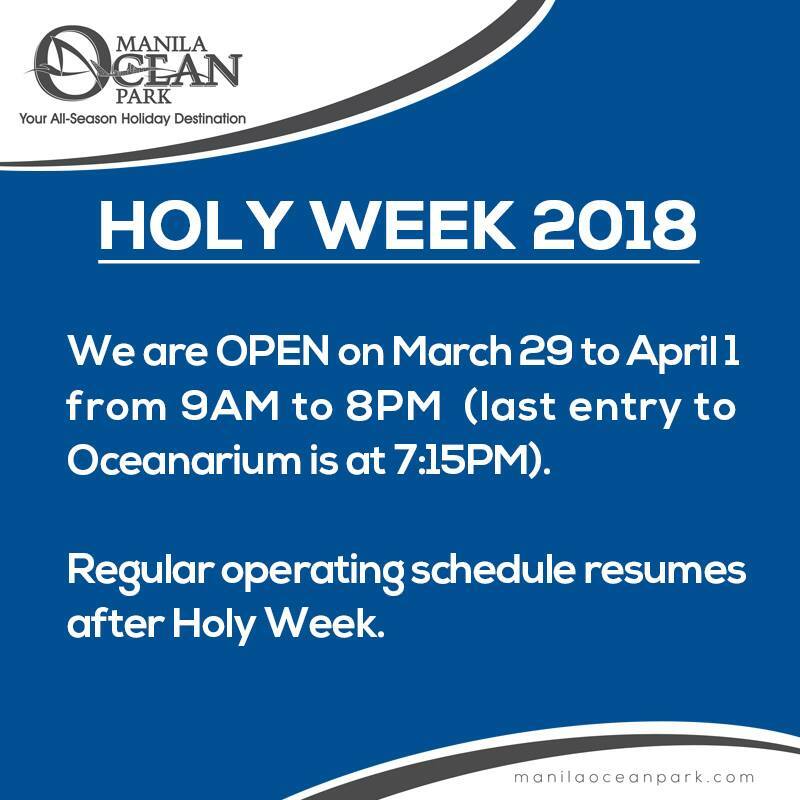 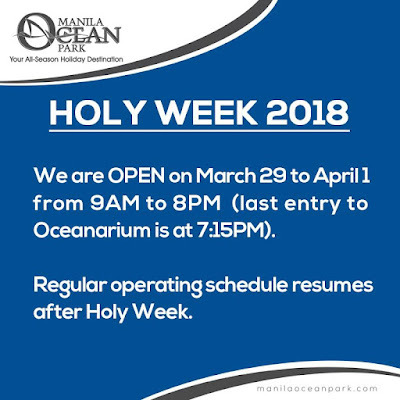 Check out also Lent & Holy Week Activities of some Catholic churches HERE, and Easter Activities and Staycation Promos HERE. 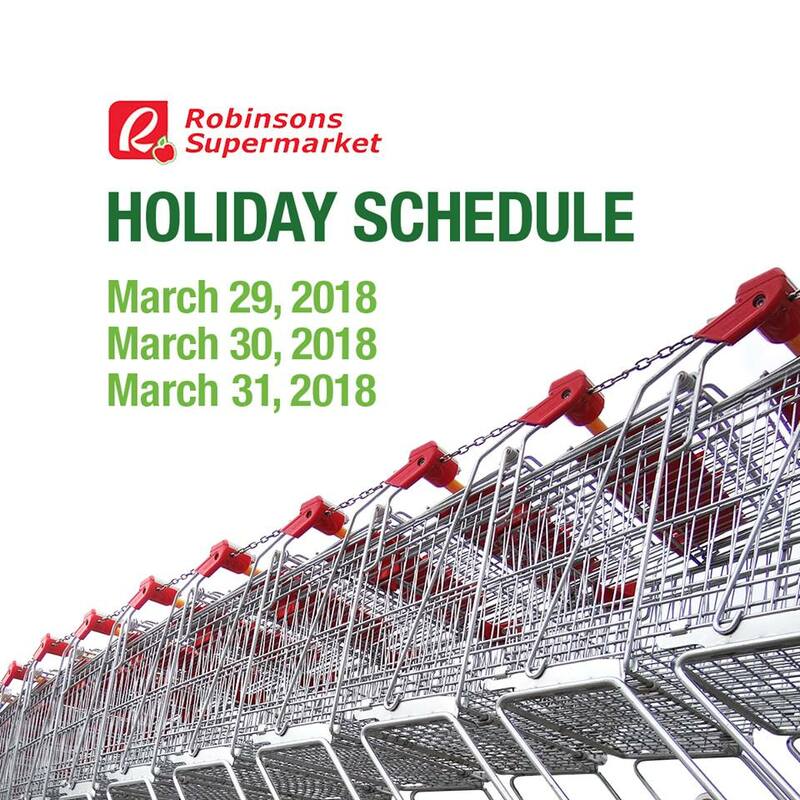 Almost all Robinsons Malls are closed on Maundy Thursday (except the ones indicated above) and Good Friday (except Robinsons Antipolo). 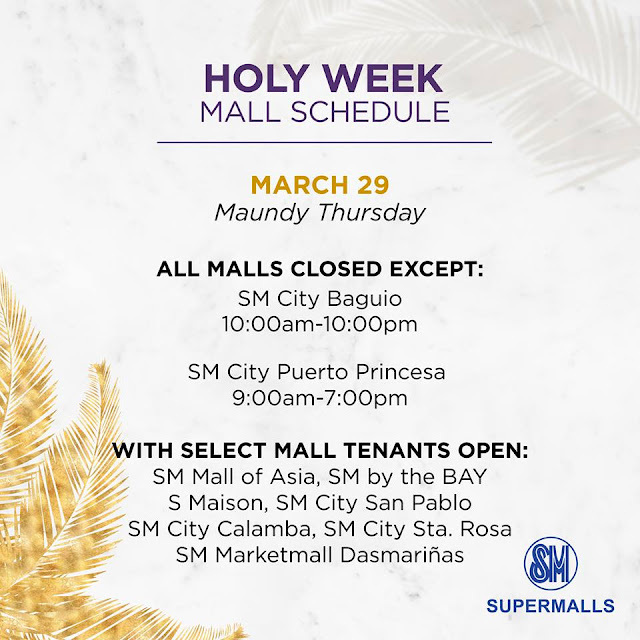 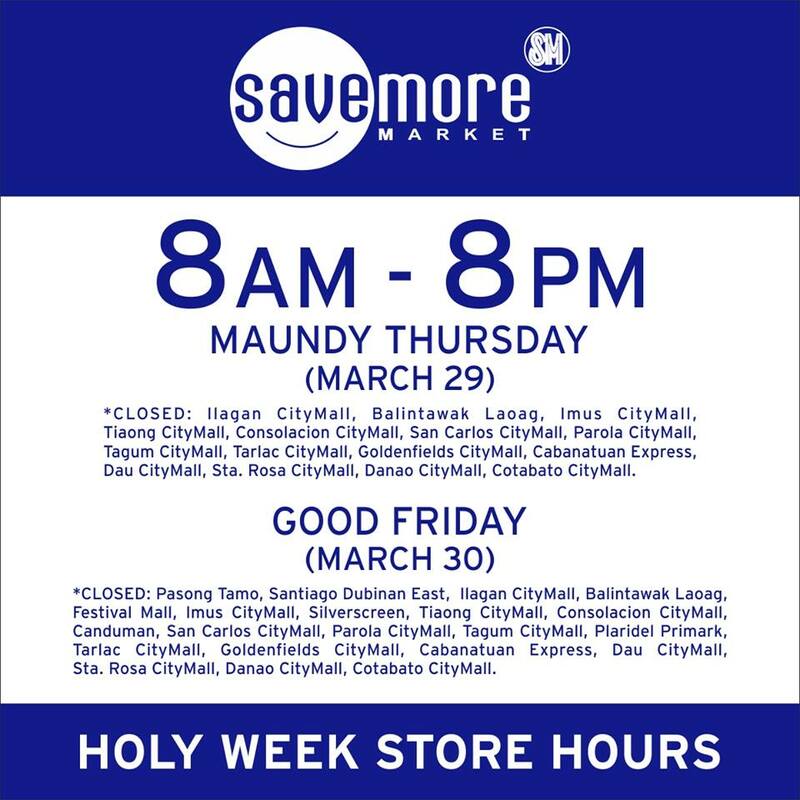 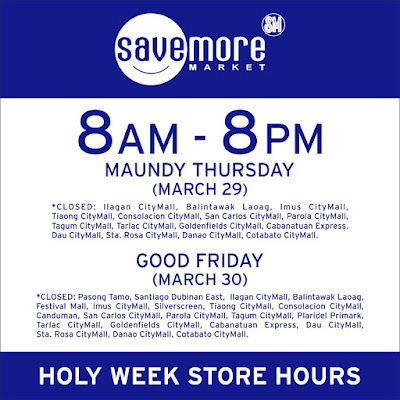 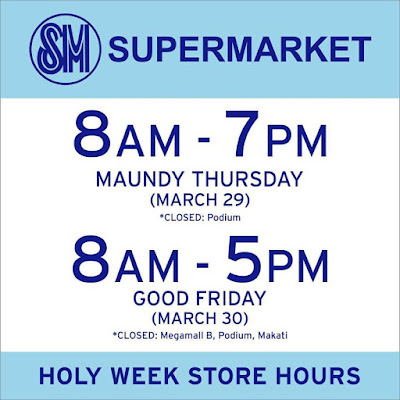 All SM Malls are closed on Maundy Thursday and Good Friday except the ones (including some mall tenants) indicated above. 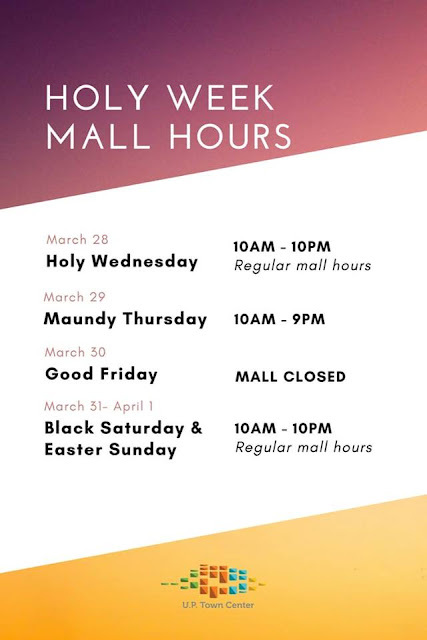 Regular mall hours resume on Saturday. 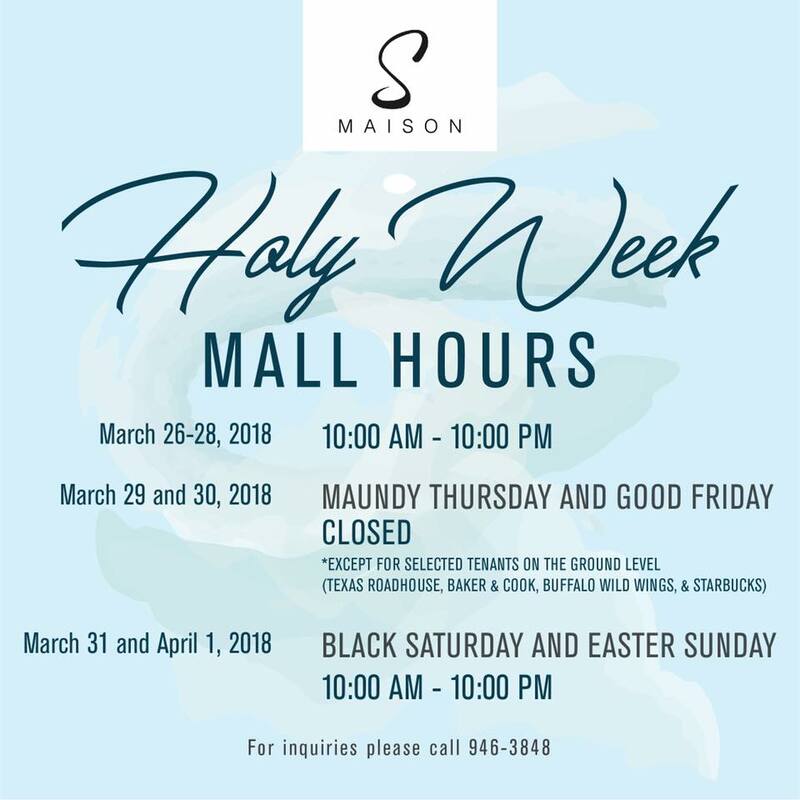 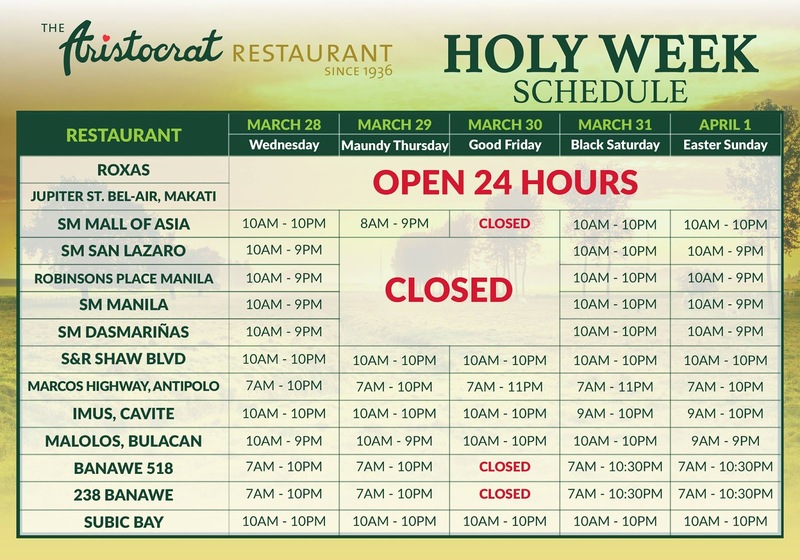 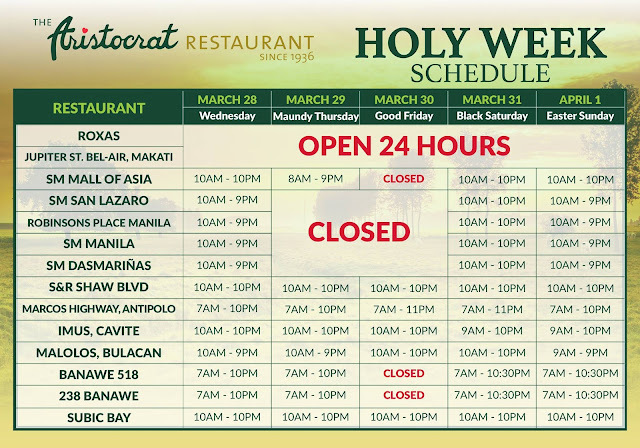 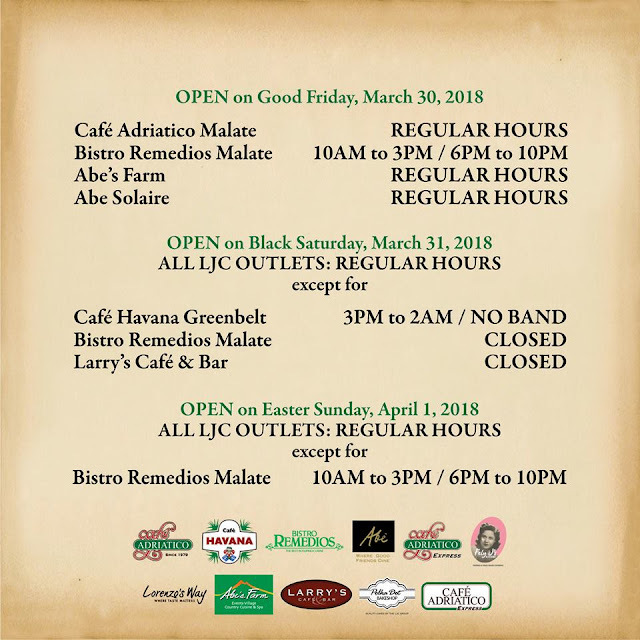 Some restos (Starbucks, Texas Roadhouse, Baker & Cook, Buffalo Wild Wings) at S Maison Conrad Hotel, are open on Maundy Thursday and Good Friday. 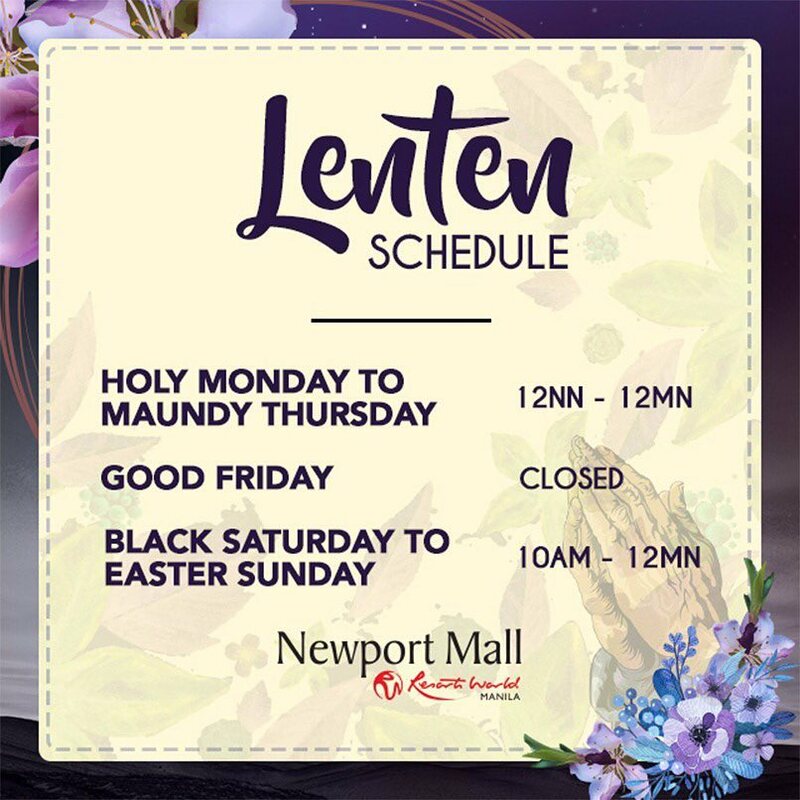 Newport Mall Resorts World is open on Maundy Thursday. 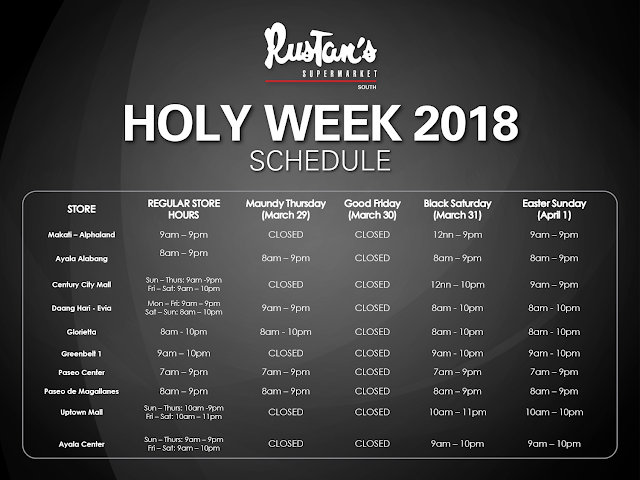 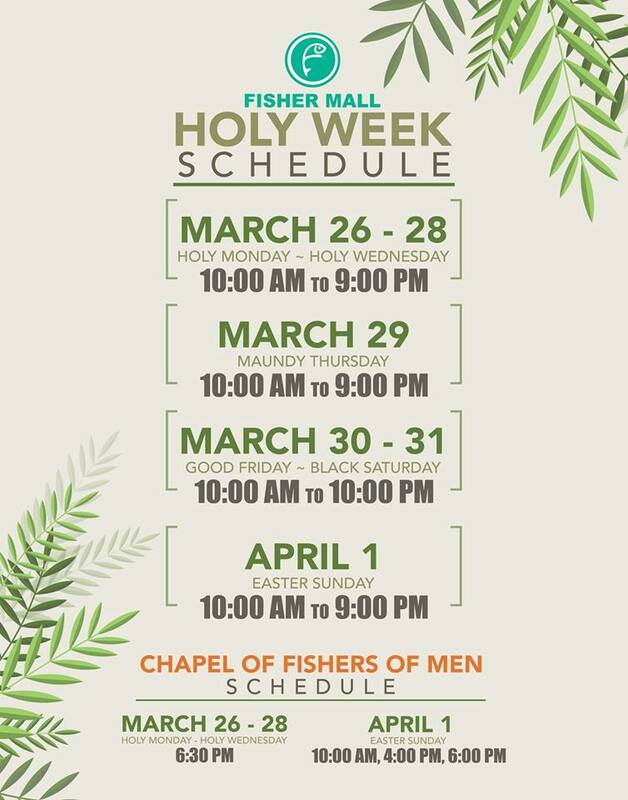 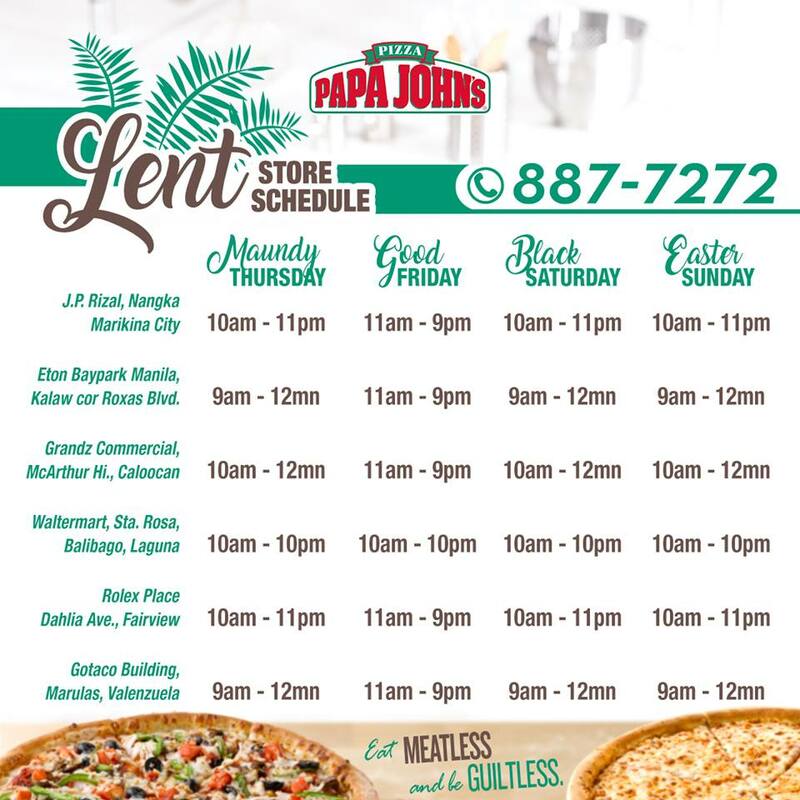 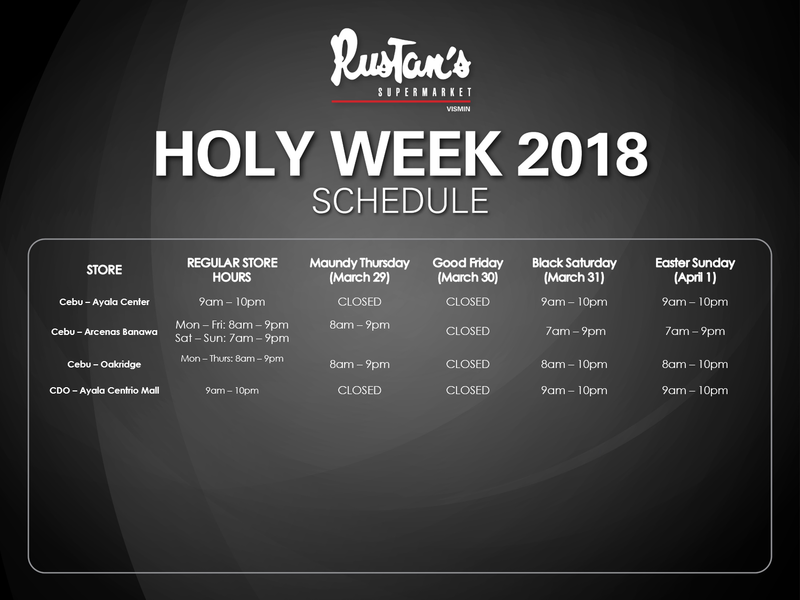 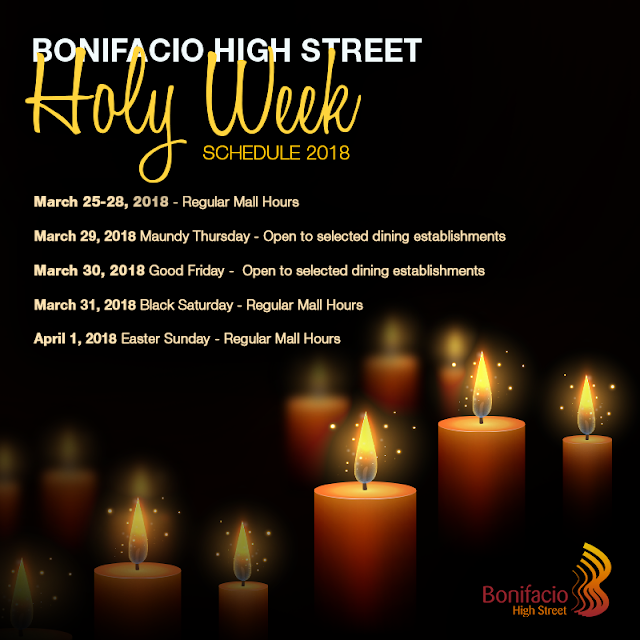 Fisher Mall Holy Week Schedule. 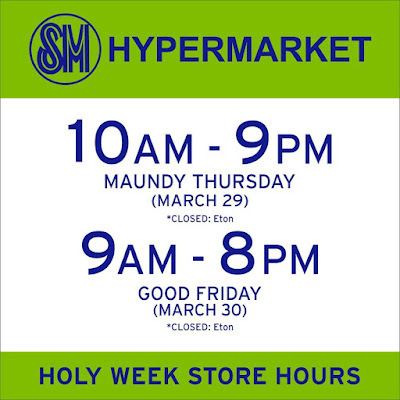 They are open on Maundy Thursday and Good Friday. 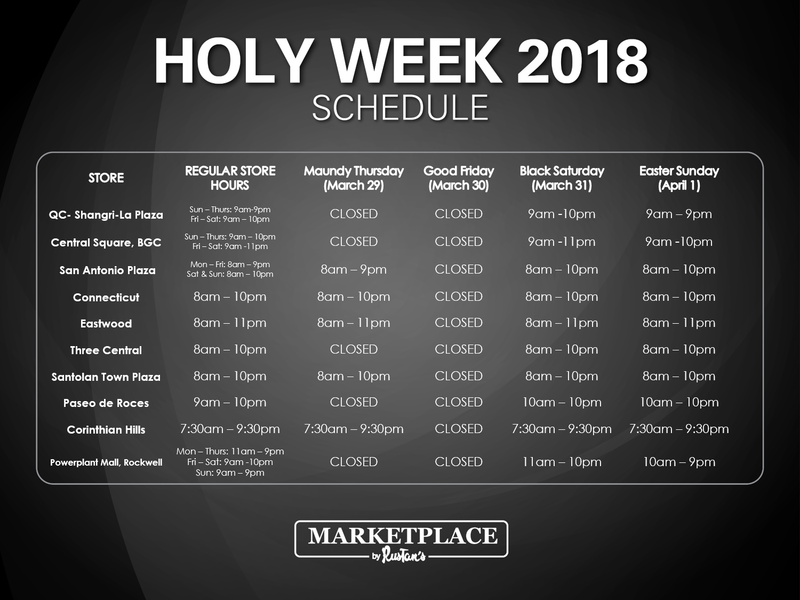 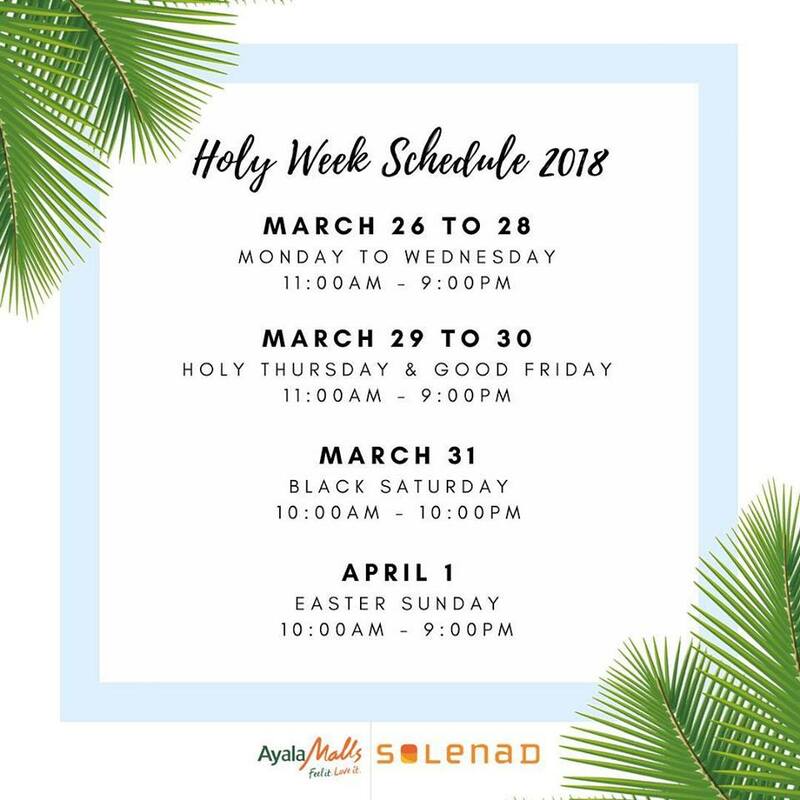 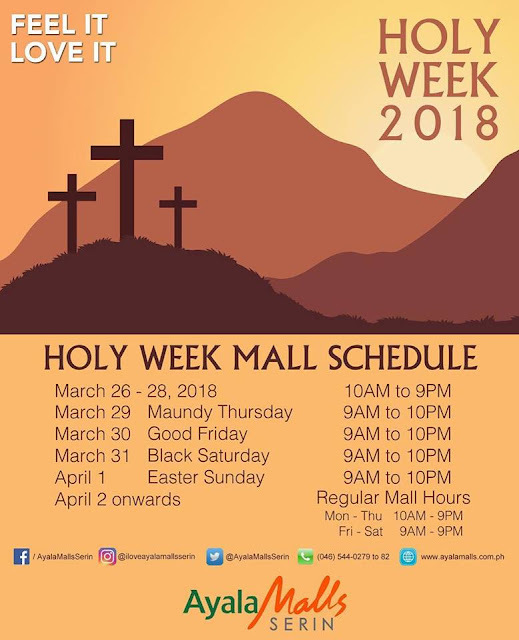 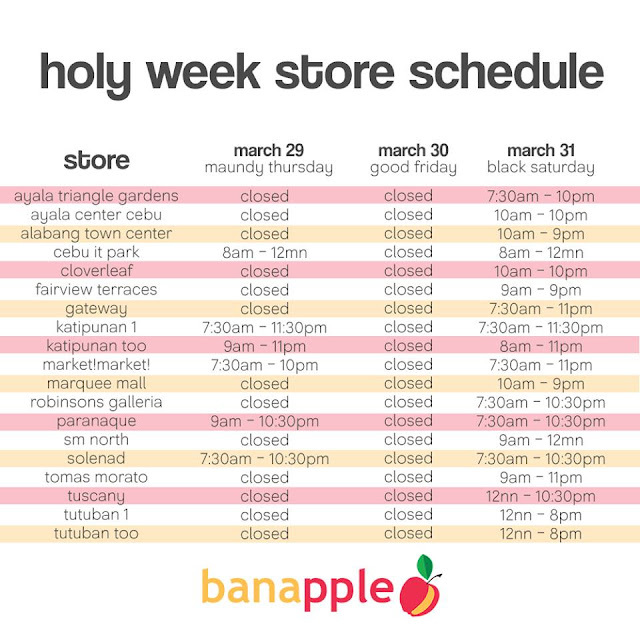 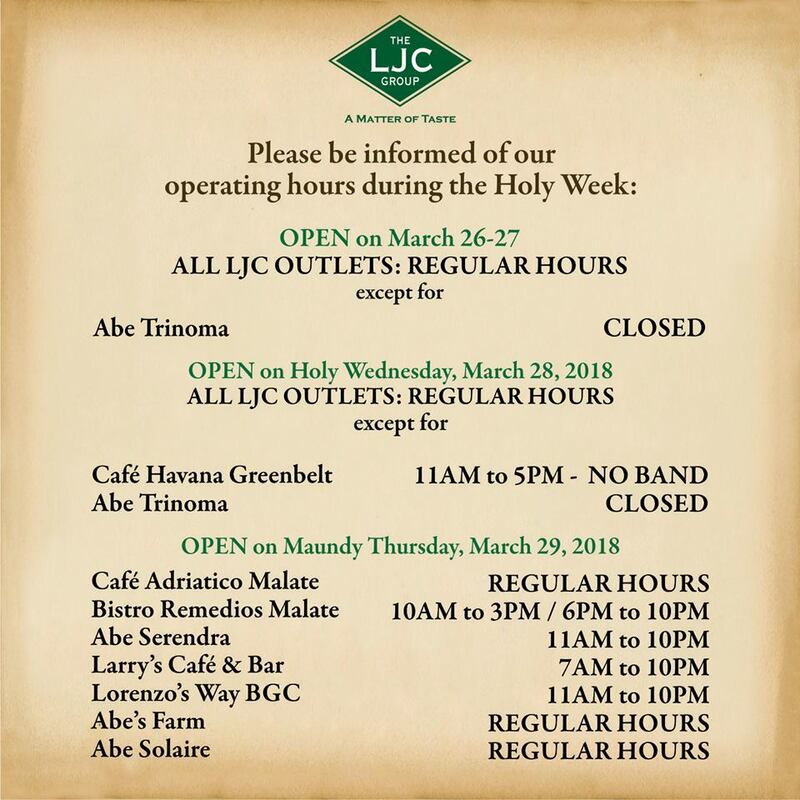 Ayala Malls Solenad Holy Week Schedule. 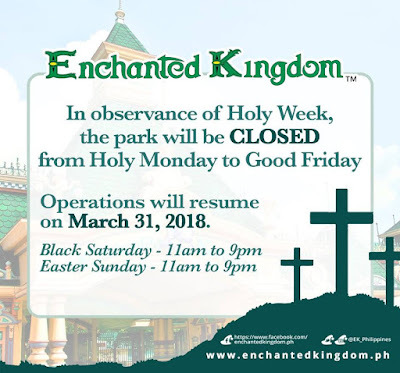 Good news to everyone going to Tagaytay! 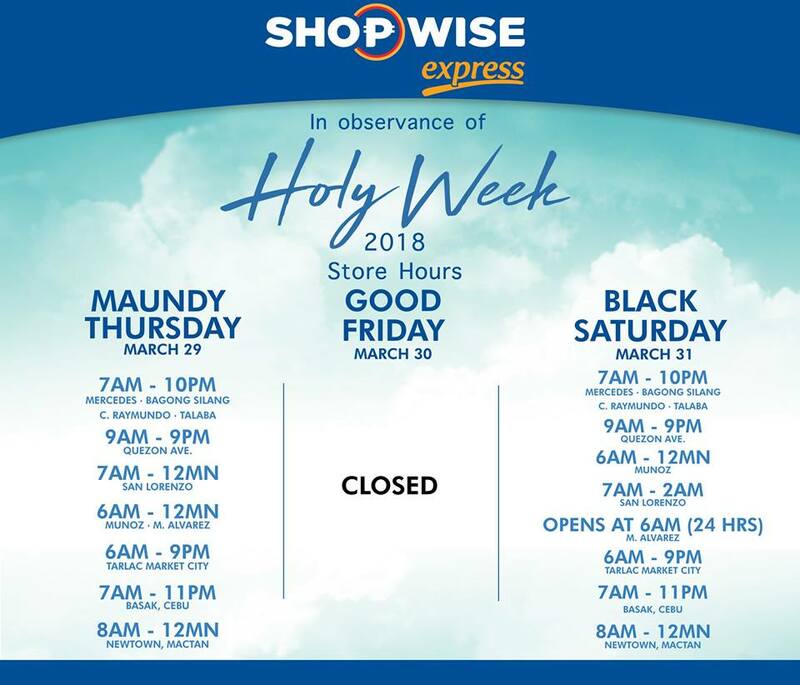 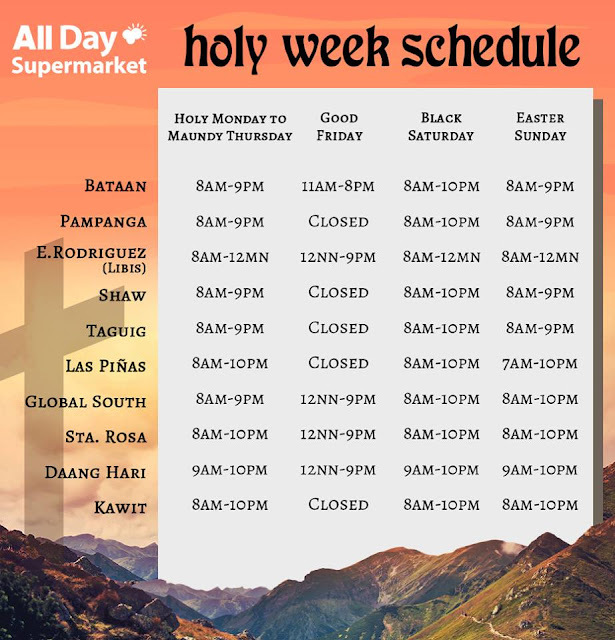 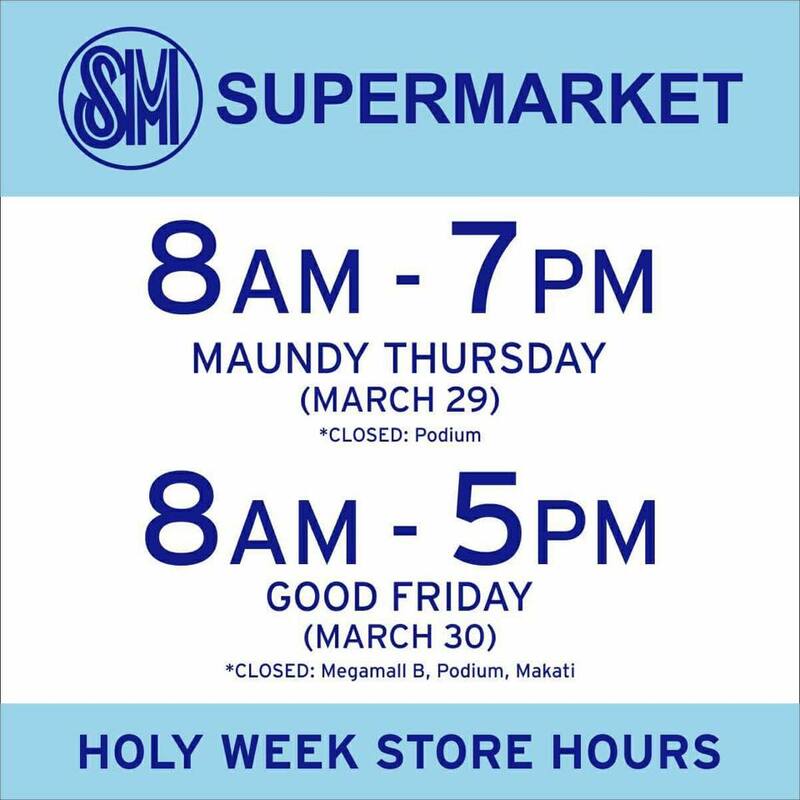 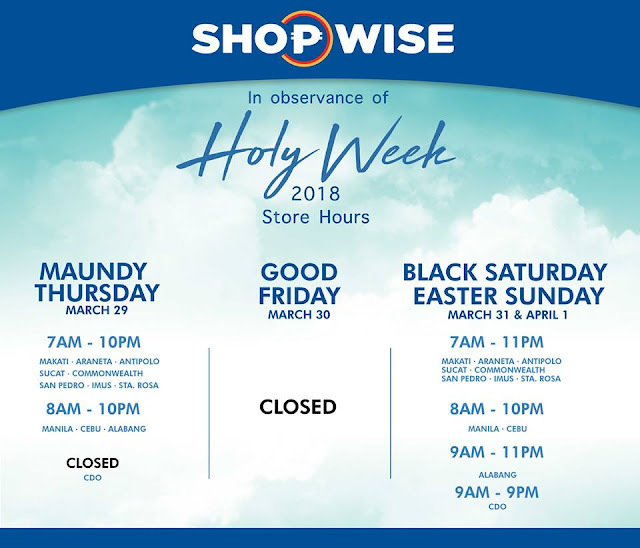 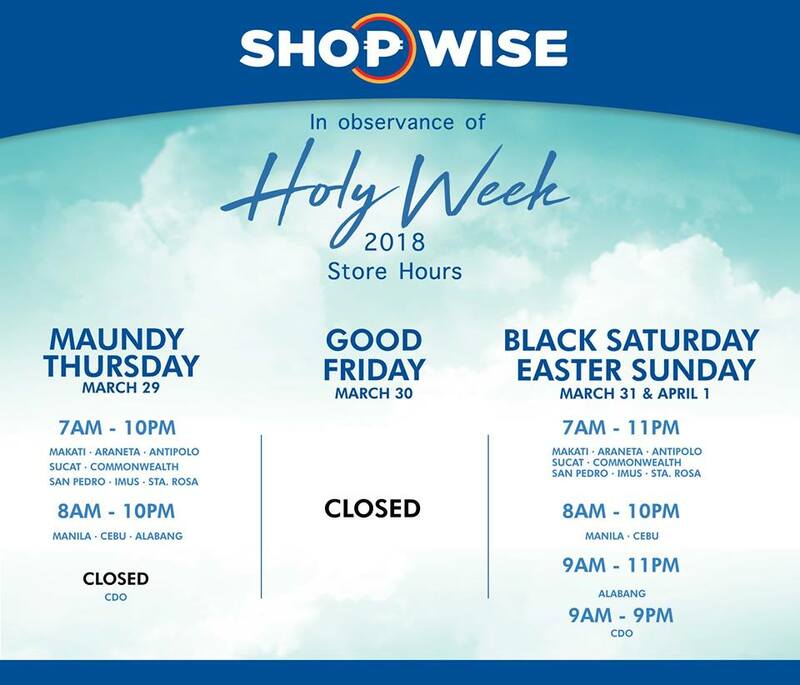 S&R Holy Week Schedule: Regular store hours will be observed from Monday to Thursday (March 26-29), and Saturday (March 31). 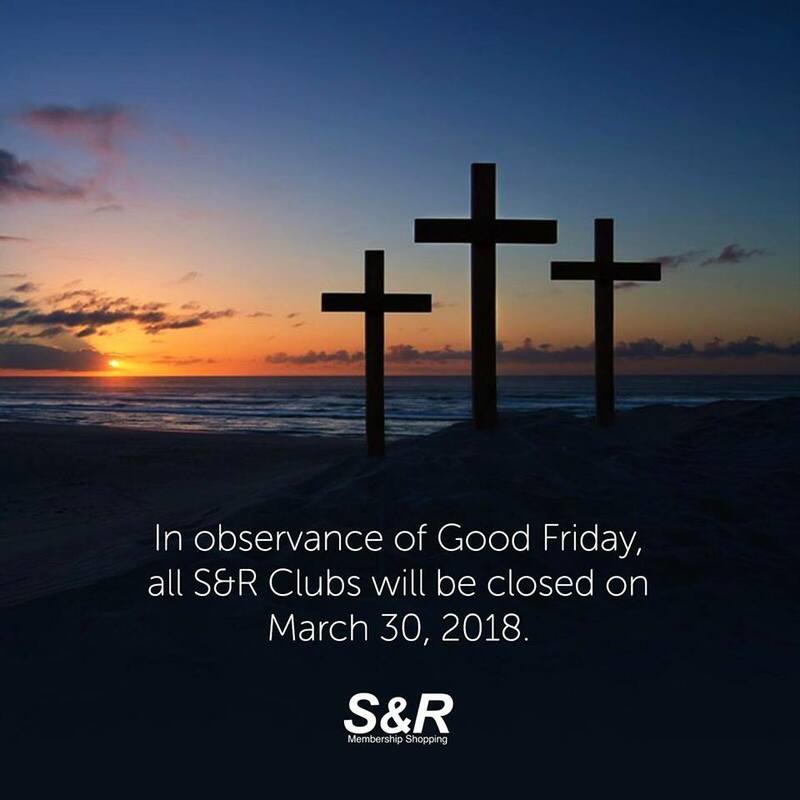 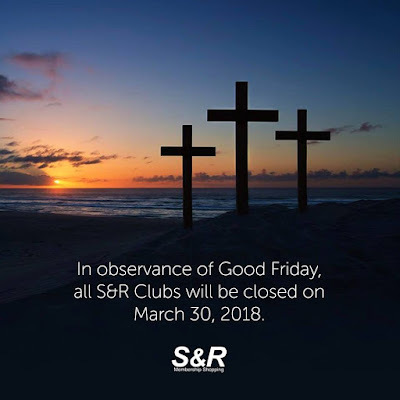 All S&R Clubs nationwide will be closed on March 30. 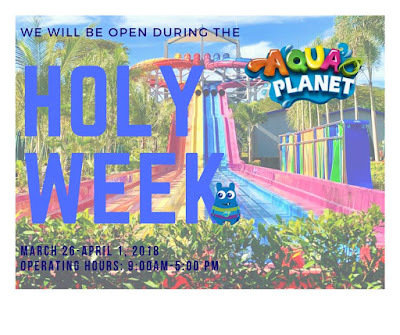 Star City is closed until Black Saturday, and operations resume on Sunday April 1. 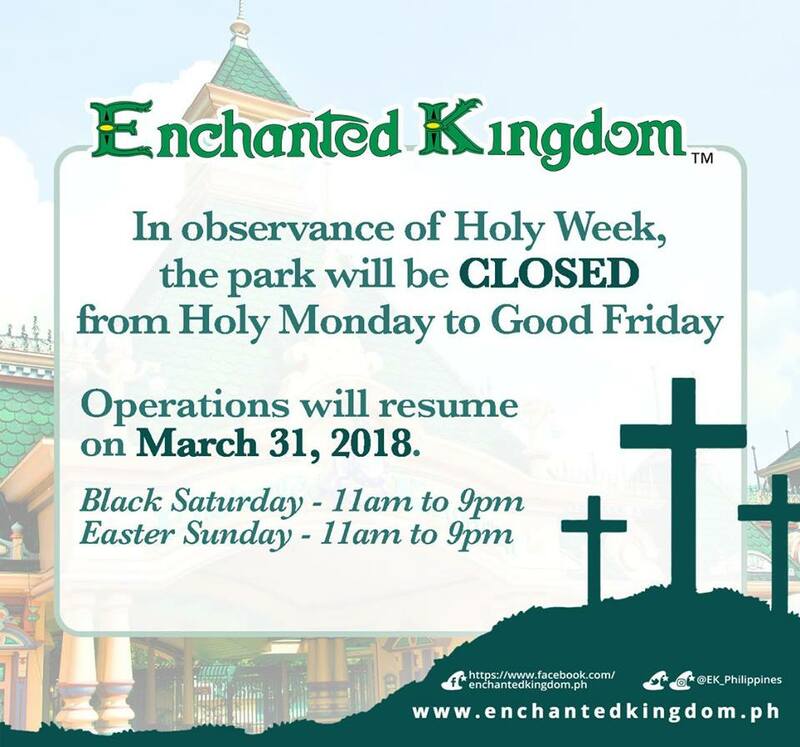 Enchanted Kingdom will be closed from Holy Monday to Good Friday, and operations will resume only on Black Saturday March 31. Have a Blessed Holy Week and Joyous Easter!